When your Honda is in need of auto maintenance or repair, you don’t want to spend more than you have to. That’s why you should visit the Valley Honda service center for our variety of oil change specials and auto repair coupons. 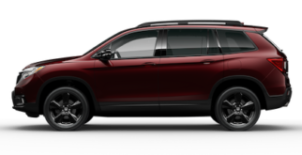 We always offer rotating service specials, including Honda oil change coupons, so you don’t need to stretch your budget to keep your Honda in peak condition.For Honda brake service coupons, Honda oil change coupons, and a variety of other maintenance and repair specials, stop by our Aurora location at your leisure! Contact our service team to schedule an appointment or inquire about our current service specials. In the meantime, check below for our printable Honda service coupons. Valid only at Valley Honda. Cannot be combined with any other offer. Honda vehicles only. Coupon must be present at time of write up. Time to Change Your Wipers! Valid only at Valley Honda. Cannot be combined with any other offer. Honda vehicles only. Prices may be higher on some models. Coupon must be present at time of write up. 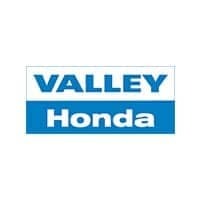 Valid only at Valley Honda. Cannot be combined with any other offer. Applicable to only Honda vehicles that take 0W20 oil per the owner’s manual (also printed on the oil cap). Prices may be higher on some models, ex: S2000. Coupon must be present at time of write up. Don’t Wait! A broken timing belt can damage your engine. Refer to your owner’s manual for recommended replacement. Valid only at Valley Honda. Cannot be combined with any other offer. Honda vehicles only. Coupon must be present at time of write up. Tensioner additional if needed. Valid only at Valley Honda. Cannot be combined with any other offer. Applicable to only Honda vehicles that take 5W20/5W30 oil per the owner’s manual (also printed on the oil cap). Prices may be higher on some models, ex: S2000. Coupon must be present at time of write up. Valid only at Valley Honda. Spend and savings applicable only for parts and service repairs. Does not include tires. Cannot be combined with any other offer or used on any detail or body work. Honda vehicles only. Prices may be higher on some models. Coupon must be present at time of write up. Valid only at Valley Honda. Cannot be combined with any other offer. Honda vehicles only. Prices may be higher on some models. Mileage may vary depending on model. Check your owner's manual for services needed. Coupon must be present at time of write up.